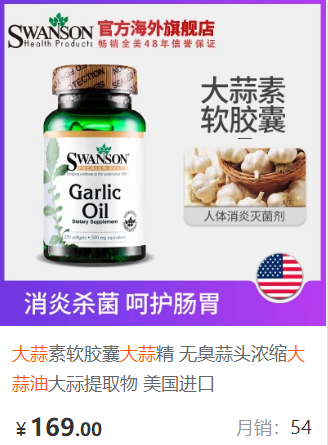 保持血管年轻态的一氧化氮 What is nitric oxide and how does it work? Some people think it's the gas that makes us laugh at the dentist office. Some think it's the fuel racecar drivers use to speed up their cars. But it's neither. Nitric oxide is a molecule that our body produces to help its 50 trillion cells communicate with each other by transmitting signals throughout the entire body. 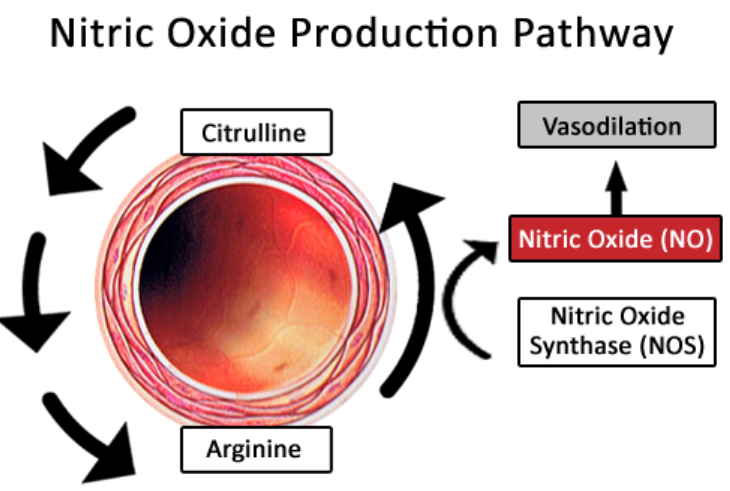 Nitric oxide has gotten the most attention due to its cardiovascular benefits. Alfred Nobel, the founder of the Nobel Prize, was prescribed nitroglycerin over 100 years ago by his doctor to help with his heart problems. He was skeptical, knowing nitroglycerin was used in dynamite, but this chemical helped with his heart condition. Little did he know nitroglycerin acts by releasing nitric oxide which relaxes narrowed blood vessels, increasing oxygen and blood flow. Viagra and other impotence medications work due to their action on the nitric oxide pathway. One cause of impotence is unhealthy and aged arteries that feed blood to the sexual organs. Viagra works by influencing enzymes in the nitric oxide pathway, causing a cascade of enzymatic reactions that enhance nitric oxide, causing more blood flow and better erections. 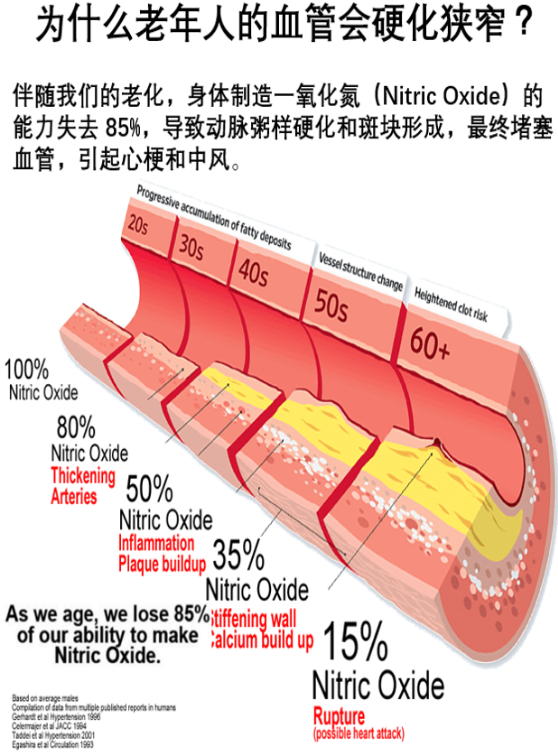 The most common way to increase nitric oxide is through exercise. When you run or lift weights, your muscles need more oxygen which is supplied by the blood. 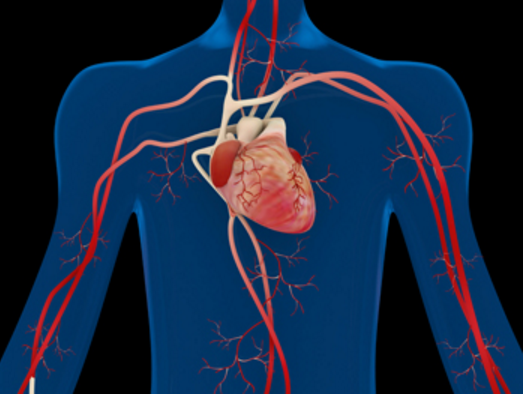 As the heart pumps with more pressure to supply the muscles with blood, the lining in your arteries releases nitric oxide into the blood, which relaxes and widens the vessel wall, allowing for more blood to pass though. As we age, our blood vessels and nitric oxide system become less efficient due to free radical damage, inactivity, and poor diet, causing our veins and arteries to deteriorate. Think of a fire hose as water rushes through it to put out a fire - it needs to expand enough to handle the pressure, still keeping enough force to put out the fire. Athletes and youth have the most optimal nitric oxide systems, reflecting their energy and resilience. Diagram 1 Another way to increase nitric oxide is through diet, most notably by consuming the amino acids L-arginine and L-citrulline. Arginine, which can be found in nuts, fruits, meats and dairy, and directly creates nitric oxide and citrulline inside the cell (diagram 1). Citrulline is then recycled back into arginine, making even more nitric oxide. Enzymes that convert arginine to citrulline, and citrulline to arginine need to function optimally for efficient nitric oxide production. We can protect those enzymes and nitric oxide by consuming healthy foods and antioxidants, like fruit, garlic, soy, vitamins C and E, Co-Q10, and alpha lipoic acid, allowing you to produce more nitric oxide. Nitric oxide only lasts a few seconds in the body, so the more antioxidant protection we provide, the more stable it will be and the longer it will last. Doctors are utilizing this science by coating stents (mesh tubes that prop open arteries after surgery) with drugs that produce nitric oxide. 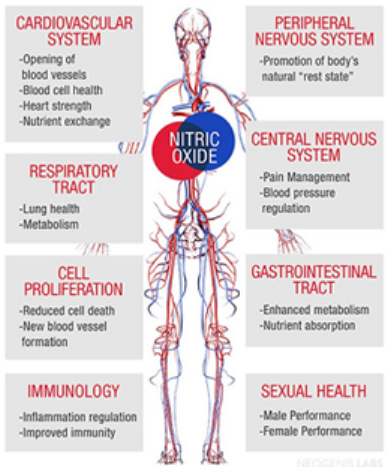 With nitric oxide deficiencies due to aging, inactivity, smoking, high cholesterol, fatty diets, and lack of healthy foods, increasing your nitric oxide levels can help increase your energy, vitality and overall wellness. The basic adage of eating well and staying active all makes sense now. WARNING: If you have an existing heart condition or abnormal blood pressure, please consult your healthcare professional before taking supplements to increase nitric oxide levels. 2. 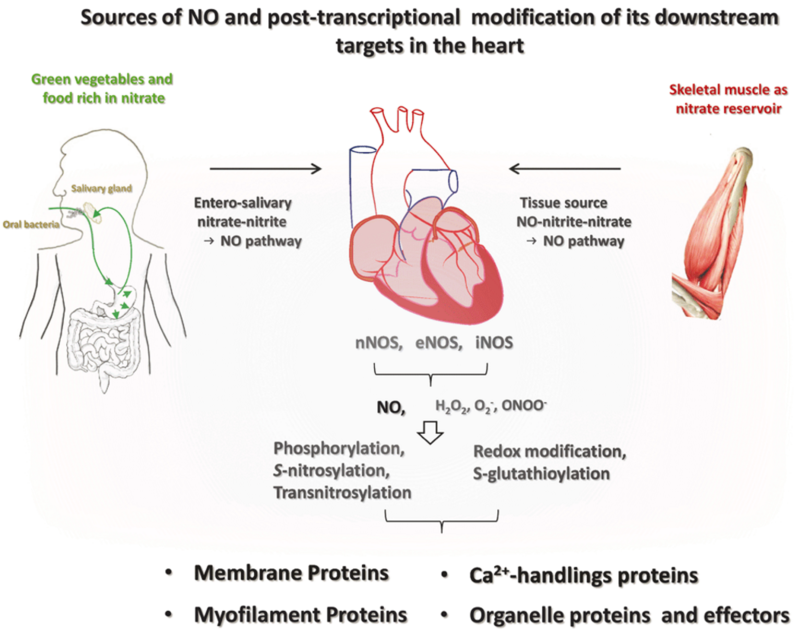 Furchgott RF, Ignarro LJ, Murad F. Discover concerning nitric oxide as a signaling molecule in the cardiovascular system. Nobel Prize in Medicine and Physiology 1998. 5. Taddei S, Virdis A, Ghiadoni L, Salvetti G, Bernini G, Magagna A, Salvetti A. Age-related reduction of NO availability and oxidative stress in humans. Hypertension. 2001 Aug;38(2):274-9.